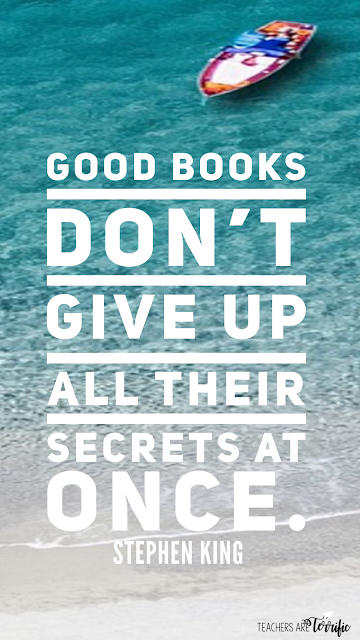 A book with a secret you say? Can you guess what is going to happen? How often are you right? Whatever you call this writing style we can all agree that we love it! Hearts for You This February! So, are you one of those classroom teachers that will have kids make a Valentine's Day box for their party goodies? I will admit I was one of those.... until a parent sweetly let me know how much she hated it. It was ultimately a contest to see which students would have the most creative box and, boy, there were some cute ones. And there were some recycled ones! I had a different parent tell me she saved boxes from one year to the next and just touched them up a bit and the kids had a box. So, what is my point? Have you ever thought about doing a STEM Challenge instead? What if you had moms send in some Valentine candy and decorative items to complete these projects? I think the moms would be sooooo happy! I read an article a little while back that gave advice about writing blog post titles. One suggestion was to try using numbers. Well, maybe not the number 18. Nevertheless, it is 2018 and 18 seemed like the perfect number. I also felt pretty certain I could think of 18 reasons you should try STEM! A few years ago I switched from a regular classroom to the STEM Lab! I had no idea what I was going to do with this new job. I had no curriculum, no resources, no textbooks... nothing. It was, to say the least, daunting and quite scary. But, I believe in hands-on learning and inquiry-based, student-driven activities, and I knew we could make this work. Wow. That is an understatement. It works. It's fabulous. Kids love it and I am having a blast. So, let's see if I can convince you to try STEM in 2018- because I thought of at least 18 reasons that you should! This is Part 1- only half of the reasons! Check back next week for Part 2!